Some time ago I was invited for an event from keune. Keune was an unknown brand for me so this event looked like the perfect opportunity to get to know this brand. Afterwards I also received a goodiebag. In the goodiebag I found two interesting products for colored hair. And I’m coloring my hair for a while now. I thought these would be perfect to try out. I’m using the tinta color shampoo and conditioner now longer than a month. So time to share my opinion with you. The packings are tight and pretty and they have a click cap. The packing is made that you easy can dose the product. But you need to set much pressure on it. So I think that when that packing is almost empty it will be hard to get all the product out of it… But the click cap is very handy! Each shampoo and conditioner must have this system because it’s so good! Some important information that you must know for sure is: this shampoo is sulfate free, contains uv protection, lp 300 color stabilizer and silk protein. That is a lot but it’s important to know! 🙂 And now all about my experience with this shampoo. The shampoo has a fairly solid structure and it doesn’t foam a lot. But it’s a nice shampoo to wash your hair with. I can compare the smell of this with the smell from shampoo’s that they use at the hairdressers. When I started to use this shampoo I had the feeling that my scalp the first week felt dry. This was not the result I wanted… But luckily after 3 times using this shampoo it got better. I think that my scalp needed to get use to the shampoo. Because now it works perfectly. It cleanses my hair on a soft way. And I also have the feeling that my colored hair also stays longer beautiful. The conditioner is just as the shampoo sulfate free. You can bring the conditioner on, on towel dry hair and you let it stay for 1 till 3 minutes. Applying the conditioner is easy, it has the perfect structure. Directly when you wash it off my hair felt so soft. And when it’s dry it looks so good and radiant. I’m satisfied about both products. I only think that my hair in the beginning needed to get used to the products. But now the results are amazing! My hair looks good and flawless! It also feels healthy and soft. I also have the feeling that my red hair hold his color longer. Normally red fades away very quick but with these products the color stays longer. So you can understand that I’m very happy with these products! It really are amazing products for colored hair! The price is a bit high. But if you keep in mind that your color in your hair will stay longer pretty and that the products are economical in use… Then the price is for sure not much if you also calculate it per time you wash your hair. 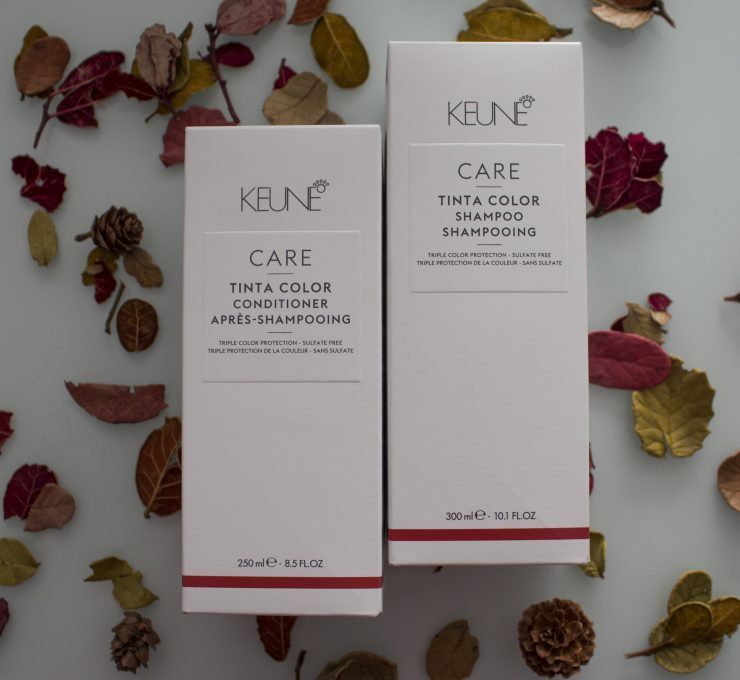 Prize: the tinta color shampoo cost €19,75 (300 ml) and the conditioner is €20,50. The shampoo and conditioner are available by different hairdressers. I think that you can find a location where the sell keune nearby easy with google.